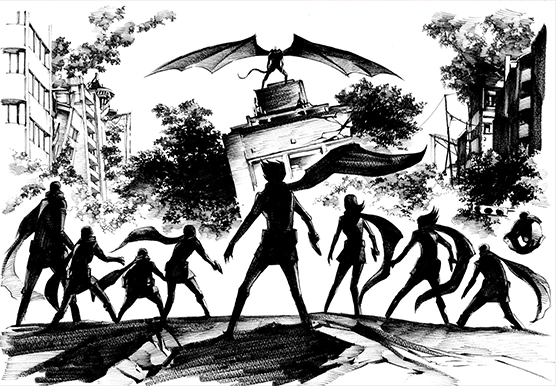 The cross-over battle between the casts of Cyborg 009 and Devilman is heating up with the announcement of a new manga adaptation and a novel adaptation based on the upcoming original animation videos that pit 2 of the most famous creations of Shotaro Ishinomori and Go Nagai against one another. The manga adaptation of Cyborg 009 vs Devilman will be published in Wednesday Sirius, the web-manga counterpart to Kodansha's Monthly Shōnen Sirius print magazine. Akihito Yoshitomo, the author of such manga as Eat-Man and GATE RUNNER, will be responsible for this adaptation, which begins publication in October of 2015. 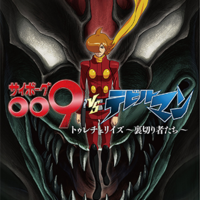 A novel adaptation entitled Cyborg 009 vs Devilman: Treacherous Betrayers is also in the works. The novelization is written by Tadashi Hayakawa, who also worked on series composition for the OAVs. It describes the events leading up to the climactic showdown between Joe Shimamura and Akira Fudo, as well as the confrontation itself. 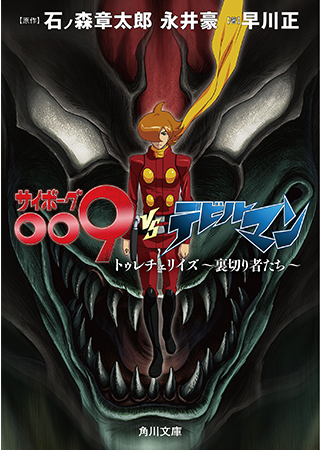 Cyborg 009 vs Devilman: Treacherous Betrayers hits Japanese bookstores on September 25, 2015, and retails for 648 yen ($5.38 US).